Myron Bolitar, sports agent and reluctant sleuth, is happily basking in the Caribbean sun with a beautiful woman he hardly knows. Interrupting this bliss, Win, his loyal but morally questionable sidekick, arrives to tell him that Esperanza, Myron's best friend and partner at MB SportsReps, has been arrested for the murder of a fallen baseball star and Bolitar client. She's smart, beautiful, and she doesn't need a man to look after her. But sports agent Myron Bolitar has come into her life, big time. Now Myron's next move may be his last. Brenda Slaughter is no damsel in distress. Myron Bolitar is no bodyguard. But Myron has agreed to protect the bright, strong, beautiful basketball star. And he's about to find out if he's man enough to unravel the tragic riddle of her life. Myron hasn't heard from Terese Collins in years. Not since their affair ended with no explanation. There had been no contact since, so her call catches him off guard. She's in Paris, she says, in trouble, and only Myron can help. She tells him a sad story she's never before revealed: a good marriage, her struggles to get pregnant, the happiest moment of her life when her only child was born, the day everything she'd ever loved was taken from her. In the years since, Terese has had no contact with her ex-husband, until the phone call that brought her to Paris. When she gets there he's been murdered, and she's a suspect. But then comes a startling piece of evidence that turns the entire case upside down, laying bare Terese's long-buried family secrets in a most shocking way and leaving Myron nowhere to turn for help. 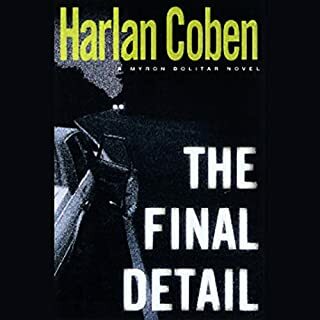 Caught in a foreign landscape where nothing is as it seems, he must tear apart the city - and eventually the globe - fighting for answers to unfathomable questions that will take Myron, and millions of Harlan Coben readers, where they have never gone before. 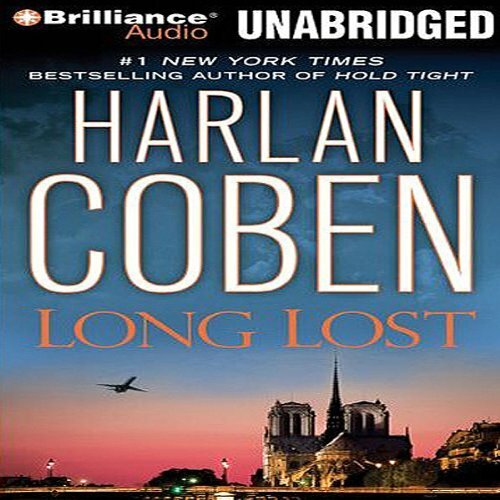 ©2009 Harlan Coben (P)2009 Brilliance Audio, Inc. This is a more ambitious story line than earlier books in the series...an interesting departure from the signature backdrop of the sports world... the plot was engrossing and the familiar characters true to form. But I missed Marosz as narrator. Weber is ok, but because for me, Jonathan Marosz is to Myron & Win what Will Patton is to Robicheaux & Clete, it took more than a few chapters to adjust to his interpretation of the characters. Please, please, please bring back Jonathon Marosz! 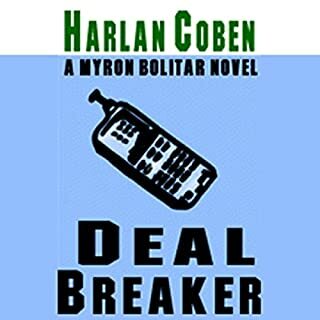 I have listened to all but one of the Myron Bolitar series on Audiobook. And I have to tell you that Steve Webber does not do it justice! Myron was too whiny, Win was not pompous enough, and Esperanza was just horrible. She is suppose to be hispanic not an old lady. I hope you bring back Jonathon Marose. If not I will not be able to listen to another Bolitar novel. Having said that I liked the story line. It was very good and a bit different from the previous books. 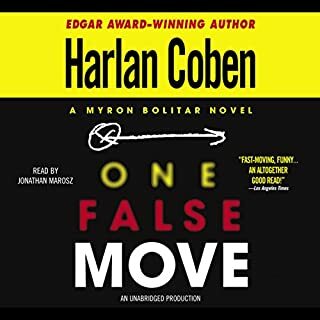 I can't wait to see what Harlan Coben has instore for Myron and Win in the future! Coban continues to create great plots that keep me waiting for his next book. Alas the narrator was lacking. Please bring Jason back, he's the man who makes Myron, Win, Esperansa and Big Cindy alive and exciting. Steven may be a good narrator but not for Coban's Bolitar characters. How can Myron Bolitar sound so 'weak' and Wynn sound like the normal 'next door neighbor' instead of our beloved 'upscale snob? And WHY is thise narrator pronouncing Terese, whom we have known for 3 books, Ter-ez. After listening to every Myron Bolitar book since the beginning, I am through with all the narrator changes. WHAT HAPPENED TO Jonathan Marosz? I will go back to Reading the books, which I love, but cannot continue to enjoy this series with all these different narrators who make characters we have known not even ATTEMPT to match the voices (or even name pronunciation)to the personalities of the characters. 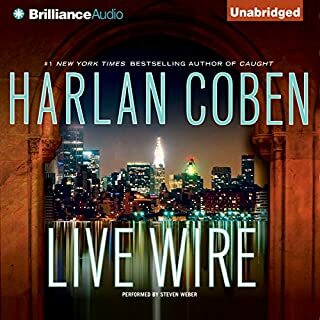 A TERRIBLE DISAPPOINTMENT to longtime Audible fans of this series. I am a long time fan of Myron Bolitar and company. 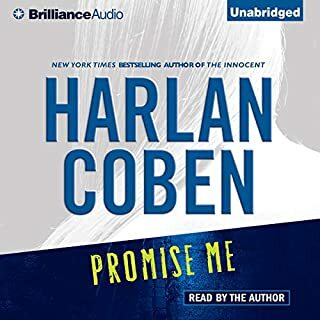 I even went so far, years ago before the series went HUGE, to email Harlan Coben a "fan letter" (I still have the reply saved in my account) and I'm on his email newsletter. With all that as a background, I am sorry to say that this installment was disappointing--a first for any Coben books. I expect to give up a hold on reality whenever reading mysteries but Coben is requiring too much in this one. The additional international political plotting is just ludicrous and seems to be thrown on at the last minute. I have never been a fan of this particular girlfriend (Terese) and, frankly, her whiney behavior in this installment reminds me why--"Myron, Myron, oh please help me." Whatever. The reader is not bad; however, I have read AND listened to every other book in the series (hence, long time fan) and Weber's voices for Win and Esperanza are by far the worst and that doesn't help an already weak book. Skip this and go to the older Bolitar's or some of Coben's stand alones. Like all Bolitar fans, I eagerly await his next novel. I'm hoping better luck next time. Welcome back Myron. A very plausible story line with all the familiar characters. Coban has opened all kinds of new possibilities with this tale which wraps up very neatly but enough doors are left open that Coban could take Myron and his friends in any number of directions. That said, I miss Jonathon Marosz. I have come to "picture" the main characters by the voice inflections of Marosz so that, while Steven Weber does a credible job, it's almost as if we have new characters. Keep MB Sports Reps going but bring back Jonathon Marosz. Okay for a light read. The plot was quite farfetched but the characterizations were interesting. I especially enjoyed the smart-aleck banter between our hero and the French detective. 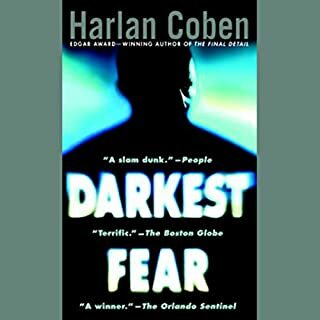 As usual Mr. Coben catches my attention and keeps me wanting more...the only downside of this book...I miss Scott Brick. Mr. Weber does a good job, but he doesn't seem to capture the true Win or Esperanza - or, I just like the characters I was first introduced to.